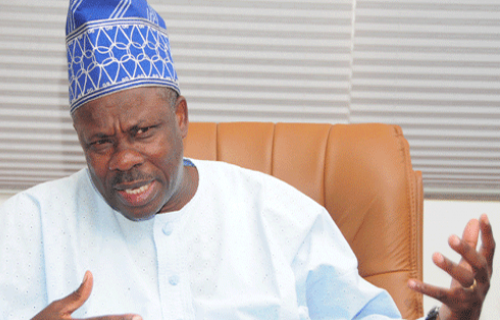 Ogun State Governor, Senator Ibikunle Amosun, yesterday restated his commitment to the “mandate” of his preferred governorship aspirant in the All Progressives Congress (APC), Adekunle Akinlade. Amosun also insisted that he would ensure he hands over the reins of governance of the state to Akinlade, who currently represents Egbado South/Ipokia Federal Constituency in the House of Representatives. This is coming as a Federal High Court sitting in Abeokuta yesterday vacated an order restraining the Independent National Electoral Commission (INEC) and All Progressives Congress (APC) from recognising Prince Dapo Abiodun as the party’s gubernatorial candidate in Ogun State for the 2019 elections. The presiding judge, Justice Ibrahim Watila, who vacated the order in suit FHC/AB/CS/125/2018, ruled that the suit was an abuse of court processes. In a statement signed by the state’s Commissioner for Information and Strategy, Otunba Dayo Adeneye, titled: “We are set for victory”, quoted the governor as restating his commitment to President Muhammadu Buhari, the APC and Akinlade. Amosun stated that he was not in doubt Buhari would win the 2019 presidential election. He said: “For the avoidance of doubt, I remain committed to our great party, APC, and I stand with and for our leader, President Muhammadu Buhari. I am in no doubt that come May 29, 2019, the Almighty God will make Mr. President triumph, and ensure that I hand over the reins of governance of our great state to the popular choice of majority of our people, Abdulkabir Adekunle Akinlade.
. The court adjourned sitting to October 23. Three APC chieftains from the three senatorial districts in the state had filed a motion exparte before the court, seeking order to restrain the defendants from recognising Abiodun as the standard bearer of the party for 2019 governorship election. Joined as defendants in the suit are, the INEC, APC, Comrade Adams Oshiomhole and Hon. Mai Mala Buni, national chairman and national secretary of the ruling party.